The variety of New England summer festival offerings is mind-boggling, and wherever you wander throughout the region's historic cities and quaint towns, you're sure to uncover unique and wonderful events with themes ranging from from classical music and dance to eggs and crustaceans. Sadly, the Vermont Zucchini Festival is no more. Thank heavens for the Zydeco Festival! The International Festival of Arts & Ideas in New Haven, Connecticut, is a multifaceted celebration of the arts that runs June 8-22 in 2019. This year's 24th annual festival features hundreds of performances; most events are free. Highlights include free headline concerts on the New Haven Green, free family shows, ticketed music and theater productions, movie screenings, tastings, experiential tours and more. Did you know that Maine produces 99 percent of the country's wild blueberries? The 44th annual Machias Wild Blueberry Festival in Washington County, where the majority of these berries are harvested, celebrates the state's top fruit crop August 16-18. The free event features a children's parade, blueberry farm tours, music, a blueberry pancake breakfast, crafts, a blueberry quilt raffle, a blueberry pie eating contest and more. The Portland Chamber Music Festival marks its 26th year this summer with captivating classical performances in Portland, Maine. The Festival runs August 8-17 on select dates. A highlight of 2019's season will be PCMF's first-ever performance of George Enescu’s Octet for Strings. Ticket and other information may be obtained by calling toll free: 800-320-0257. Or, order your tickets online at the festival Web site. Burlington, Vermont, hosts 10 days of performances ranging from Latin sounds to reggae to funk and soul at a variety of venues on Lake Champlain during the May 31-June 9 Discover Jazz Festival. Pharoah Sanders will play the Flynn MainStage on June 1, and other headliners include Tia Fuller, Toots & The Maytals and Christian Sands Trio, with more to be announced. Tickets for various performances may be purchased online. Some events at area restaurants, bars and clubs are free, as are shows on the Church Street Marketplace stages. For details, call 802-863-7992. Take part in the 47th annual Central Maine Egg Festival, July 8-13. Pittsfield, Maine's Manson Park is the place to be for egg breakfast cooked in a 300-pound frying pan, entertainment, the "Egglympics" and egg-citing surprises. The theme for 2019 is: "Agriculture and 'FarmEgging' Past – Present – Future." For information, call 207-341-3456. The Jaffrey Chamber of Commerce's annual Festival of Fireworks returns to Jaffrey Airfield Silver Ranch in Jaffrey, New Hampshire, in 2019. Take your family to see this spectacle in the sky—touted as one of the best fireworks shows in New England—on Saturday, August 17. Tickets must be purchased in advance for this one-of-a-kind show by Atlas PyroVision, a company based in Jaffrey for the last 70 years. No vampires allowed. The 24th annual Southern Vermont Garlic & Herb Festival takes place in Bennington, Vermont, August 31-September 1 (Labor Day weekend). Enjoy live music, sample a wide variety of garlic foods, learn about garlic and herbs and watch cooking demonstrations. Call 802-447-3311 for more information. Hear live bands and more during the four-day Hillsboro Fest and Fair, held July 11-14, in Hillsborough, New Hampshire. Hot air balloons are no longer a part of this annual tradition, but the festival's being reinvented this year to feature new rides and more food and entertainment. For schedule details and more information, call 603-464-0377. The 22nd annual Maine International Film Festival in Waterville, Maine, runs from July 12-21 and features screenings of nearly 100 American and foreign independent films, plus films made by innovative Maine and New England filmmakers. Call 207-861-8138 for more information. With free "Inside/Out" performances Wednesday through Saturday evenings and a schedule of major performances by some of America's foremost dance companies and ensembles from June 19-August 25, Jacob's Pillow in Lee, Massachusetts, is definitely a dance lover's place to be this summer. 2019 marks the festival's 87th year; it is the longest running dance festival in the U.S. For information about this summer's events, call 413-243-9919. For tickets, call the box office at 413-243-0745. From June 23-August 11, enjoy a wide array of Friday evening and Sunday afternoon classical concerts at Kneisel Hall in Blue Hill, Maine, as the Kneisel Hall Chamber Music Festival celebrates its 117th year in 2019. For more information on the festival, call 207-374-2811. To purchase tickets, call call 207-374-2203. For the 33rd year in 2019, head for one of the largest free folk festivals in the U.S—three days of traditional music and dance, crafts, ethnic foods and more on five outdoor stages throughout Lowell, Massachusetts—from July 26-28. For more information about the Lowell Folk Festival, call 978-275-1764. 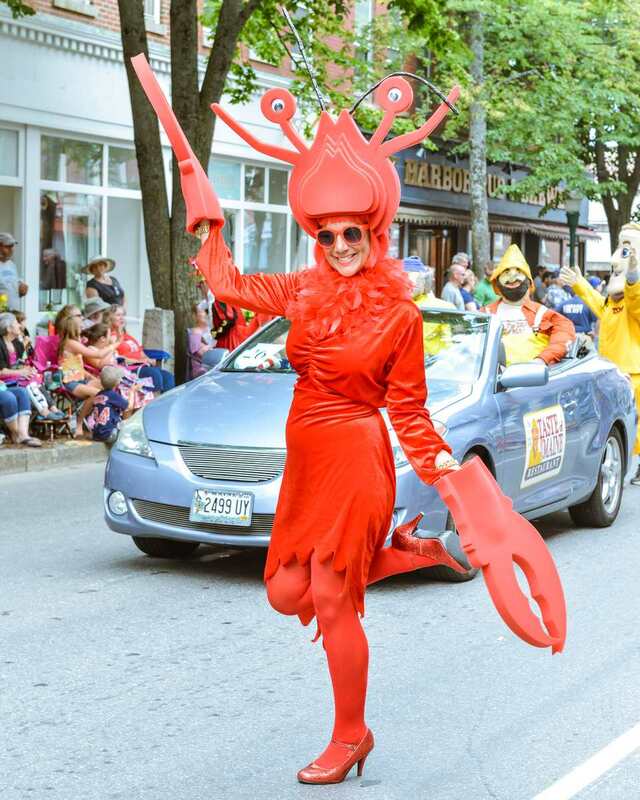 If you love lobster, you need to be in Rockland, Maine, July 31-August 4 for the 72nd annual Maine Lobster Festival. There's only one word for this gargantuan celebration of Maine's beloved crustacean—Yum! Each year, about 20,000 pounds of lobster are prepared in a giant cooker. Additional festival highlights include the Big Parade, Great Crate Race, concerts and entertainment for all ages. For details, call toll free, 800-576-7512. The 65-year-old Newport Jazz Festival in Newport, Rhode Island, is produced by the non-profit Newport Festivals Foundation. The festival features emerging jazz artists, along with the jazz greats concertgoers have come to expect. In 2019, the Newport Jazz Festival runs August 2-4, opening Friday with a day of performances in Fort Adams State Park, followed by a special Opening Night Concert. The event continues Saturday and Sunday at Fort Adams. Headliners for 2019 include Herbie Hancock and Corinne Bailey Rae, with more performers to be announced. Tickets can be purchased online. Single day general admission tickets may also be purchased in person at the Newport Visitor Center. Veteran's Memorial Park in Norwalk, Connecticut, is the setting for the Norwalk Seaport Association's 42nd annual Oyster Festival. Highlights of the September 6-8 event include musical performances; children's activities and rides; an arts & crafts show; oystering and environmental exhibits and, of course, oysters galore! Tickets may be purchased online beginning April 1 and printed prior to the festival. For information, call 203-838-9444. The 72nd annual Maine Potato Blossom Festival is July 17-21 in Fort Fairfield, Maine. Did you know that potato plants have beautiful white, pink or lavender flowers? Join in the celebration of one of Maine's most important crops with dozens of events including a parade, musical entertainment, mashed potato wrestling, fireworks over the Aroostook River and more. For information, call the Fort Fairfield Chamber of Commerce at 207-472-3802. The 43rd annual Vermont Quilt Festival is June 26-29 in Essex Junction, Vermont. See hundreds of beautiful, hand-crafted antique and contemporary quilts at New England's oldest and largest quilt event, shop for quilting supplies, have quilts appraised and participate in a choice of dozens of full-, half- and multi-day classes taught by quilters from across the country. Call 802-872-0034 for details. The Rockport Chamber Music Festival marks its 38th season of performances by some of the world's best chamber music artists. Performances are held on select dates June 14-July 14 in Rockport, Massachusetts, starting with an Opening Night concert featuring the Grammy Award-winning Parker Quartet and pianist Stephen Prutsman. To order tickets or for more information, call 978-546-7391. The Hudson Valley Shakespeare Festival offers summer performances under the stars of two of the Bard's classics—Much Ado About Nothing and Cymbeline—at Boscobel, a scenic Hudson River estate in neighboring New York State. The festival also presents its first-ever Broadway musical, Into the Woods, this summer. A new production of Cyrano is also on the summer calendar. Performances run from June 9-September 8. Order tickets online or by calling 845-265-9575. If you adore the flavor of heirloom tomatoes, then venture to Verrill Farm in Concord, Massachusetts, August 17 for the Corn & Tomato Festival featuring the chance to taste more than 30 varieties of tomatoes grown on the farm, plus several varieties of corn and other farm-fresh foods. There'll be live bluegrass music and children's activities, too. For details, call 978-369-4494. Looking for a festival that's out of this world? Exeter, New Hampshire, is the epicenter of UFO lore in New England thanks to unexplained sightings that occurred in 1965. The annual Exeter UFO Festival, scheduled for August 31-September 1, features lectures and activities for believers and skeptics of all ages. The towns and villages of the Mad River Valley in Vermont celebrate the arts during this month-long festival, August 1-31, which celebrates its 22nd anniversary in 2019. Vermont Festival of the Arts events include open studios, concerts, gallery exhibits, theater performances, tours, workshops and more. For more information, call 802-496-6682. Augusta, Maine's festival with the blasé name has been running for 42 years straight. From June 12-July 4, the capital area hosts 150 family-centered events. The highlight of the Whatever Family Festival is Kennebec River Day at Mill Park featuring music, food trucks and craft vendors. Most of the scheduled events are free. Call 207-623-4559 for details. Head to Pittston, Maine, for the mudder of all summer festivals in New England! The annual 4x4 Festival (aka the Mud Run) is held at the Pittston Fairgrounds, and even if you don't want to venture into the Deep Mud Pit in your vehicle, you'll love observing all of the sloppy, family-friendly action. Overnight camping is available. A 2019 date is still to be determined: Typically the festival is either the last weekend of May or the first weekend of June. You'll find clams, crafts, clams, a carnival, clams, concerts, and, uh... clams! at this July 19-21 festival in Yarmouth, Maine, which marks its 54th anniversary year in 2019. The Firefighters' Muster is a must-see. Admission to the Yarmouth Clam Festival is free. Call 207-846-3984 for details. The 23rd annual Blast from the Bayou Cajun Zydeco Festival runs June 6-9 at Strawberry Park in Preston, Connecticut. Make a weekend of it by reserving a campsite or rental unit. Camping in the rough is free. In addition to the line-up of musical performers, the family-friendly festival features authentic Cajun and Creole cuisine, dancing and more. For tickets and reservations, call 860-886-1944.